Planning a destination wedding is typically a complicated affair. Making travel arrangements for the bride and groom is just the tip of the iceberg. Keeping tabs on the entire wedding party and guests to make sure they’re comfortable is another consideration. Booking the wedding and reception venue, ensuring the proper officiant is available at the destination and that the wedding and reception are all important and need to be done from the home location. Sometimes, particularly when planning a major event like a destination wedding, a little simplicity goes a long way. 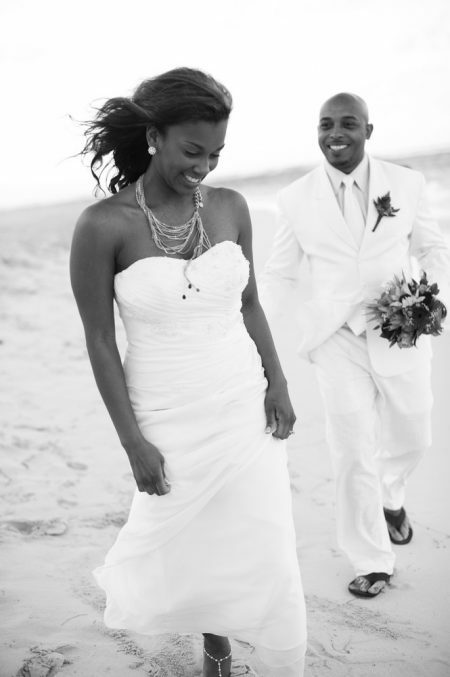 Simple wedding gowns are often a time saver and look fantastic for beach and destination weddings. The things about simple wedding gowns is that they highlight the features of the bride. They also make navigating a tropical beach far easier than extensive gowns with long trails. Linen is a very popular option for simple wedding gowns. This is particularly true of tropical destination and beach weddings. Straightforward linen gowns stay dry in humid climates. Linen is warm in cool weather and cool in hot weather, making it an extremely popular choice for designers and brides and bridesmaids alike. Opting for a simple wedding gown allows the bride the chance to focus on many other details of the wedding. Simple gowns look great and are typically very affordable, which never hurts when planning the vacation that surrounds a destination wedding. Simple designs still look great and with accessories such as shoes, veils and jewelry they look every bit as stunning as extensive gowns. 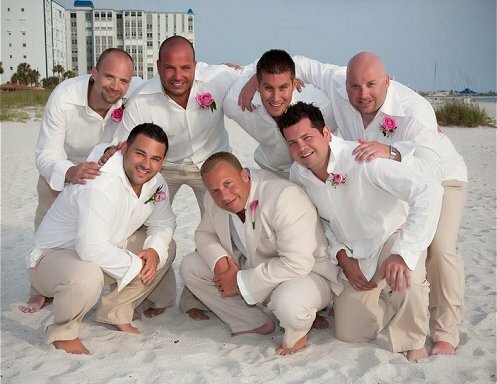 Men’s Linen Clothing is a Beach Wedding Staple Some of the Best Clothing Island Visitors Could Want. “Teresa, our wedding shirts are wonderful! They looked great. 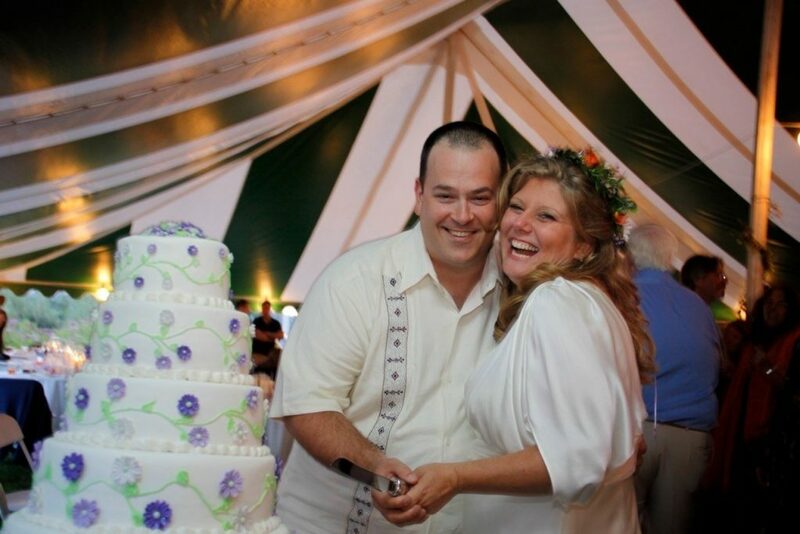 My new husband dropped our chocolate wedding cake down the front of his shirt. What is the best method for cleaning them?